If you’ve read Part 1, then you’ve sorted out the basic specs of the speakers you need, including power handling and impedance. Now, we get into the fun stuff: tone, tone, tone! 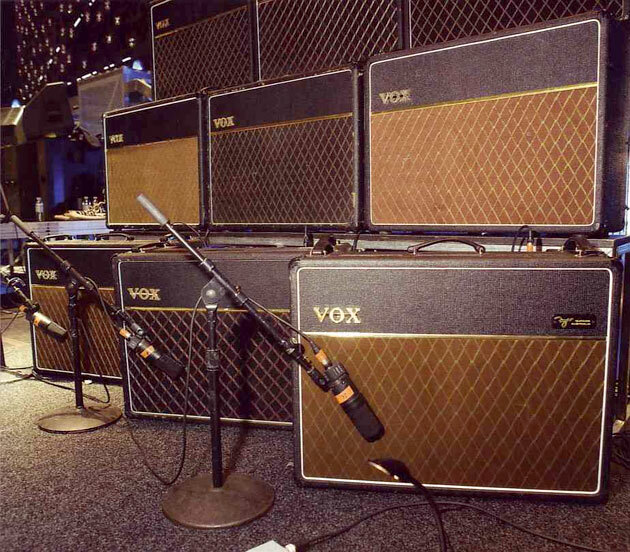 As you’re choosing the right speaker for your amp, one of the first things to consider is voicing. Very generally speaking, there are two kinds of voicing for speakers: British and American. In this segment of Speaker Quest, we’ll look at British-voiced speakers and some of their applications. When you think of the classic British rock sound some distinct artists probably come to mind: the Beatles, the Stones, and Clapton, to name a very select few. Listen to these artists, and you’ll get a pretty good sense of what British-voiced amps sound like: chimey cleans and crunchy overdrive with an array of complex harmonics. Tube fanatics will recognize these sounds as belonging to the early Vox and Marshall amps, which used the bold, shimmery EL84 and EL34 tubes. 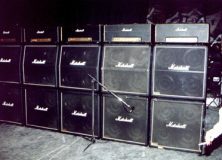 To bring out this unique voicing, these amps used speakers with earlier breakup, punchy mid-range and aggressive treble response. Not surprisingly, the London-based Celestion is responsible for many of the famous British-voiced speaker models throughout rock history. Celestion created the Blue and Greenback speakers, both of which are favorites for the Vox AC15 and AC30. The Blue is known for its celestial top-end, while the Greenback has more of a mid-range growl. 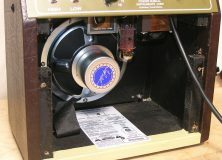 These two models became so popular that Celestion made a number of other speakers based on them. 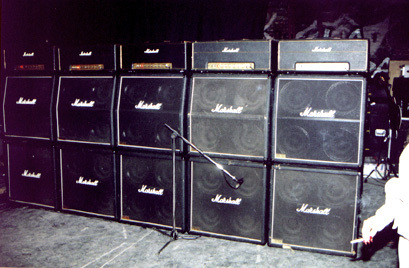 For example, the Vintage 30, a staple of modern rock, is basically a Greenback on steroids. Similarly, the Gold captures the tonal qualities of a Blue, but in a higher wattage package. If you want British tone but can’t afford a high-end Celestion, check out Eminence’s Red Coat series. These speakers offer impressive rock tone and a solid value. Typically, British speakers are at their best in higher gain music. 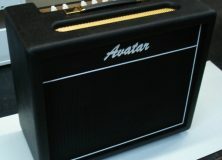 Southern rock, classic rock, and most kinds of metal love a 4×12 stack loaded with Greenbacks or V30s. 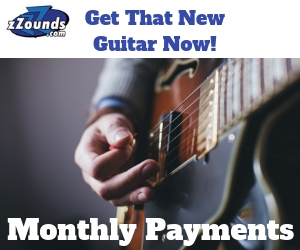 For cleaner sounds, including folk or country-tinged tunes, the heavenly harmonics of a Blue could be perfect. 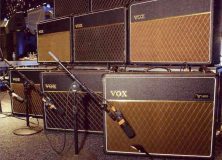 Although British-voiced speakers have found their niche in these genres, they can serve a wide range of functions. 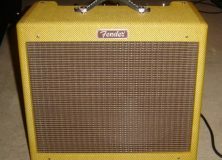 For example, the early break-up and rich harmonics of these speakers make them a good choice for noise rock and shoegaze, and their punchiness and high-end sizzle are ideal for all kinds of psych and garage rock. Speaker Quest Part 3 is here! Adam Jazairi is a writer, art historian, director, and literary critic, and I guess he sorta likes guitars, too. He has become a shameless gearhead with an incurable case of GAS (that’s “Gear Acquisition Syndrome,” for those of you who have been fortunate enough to be unfamiliar with this horrible illness). His heart has room for three true loves: his Tele, his JC-120, and his pedalboard.